On July 31st, 2017 Harmonix announced on the Rock Band forum that Rock Band Blitz would be removed from sale “on or before August 28th, 2017” for both PlayStation 3 and Xbox 360. 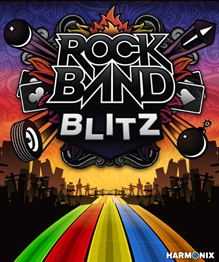 Unlike Rock Band Unplugged for PSP, Rock Band Blitz was never released on a physical platform and will be made Extinct upon its removal. The forum post went on to confirm that all 25 songs from Rock Band Blitz could be exported into Rock Band 4 at no additional charge and provided a support page with details on how to make the transfer. The post also confirmed that the 25 songs would still be available as standard DLC for Rock Band 4 and would “remain up until further notice”. The date marks the five-year anniversary of the game and with the songs remaining as Rock Band 4 DLC it’s likely that the delisting marks the end of a licensing deal for Rock Band Blitz exclusively. Includes 20+ songs new to the Rock Band Music Library – all 25 are immediately playable in Rock Band 3!